4" ID x 4.21" OD AIRDUC® PUR 350 AS Hose | U.S. 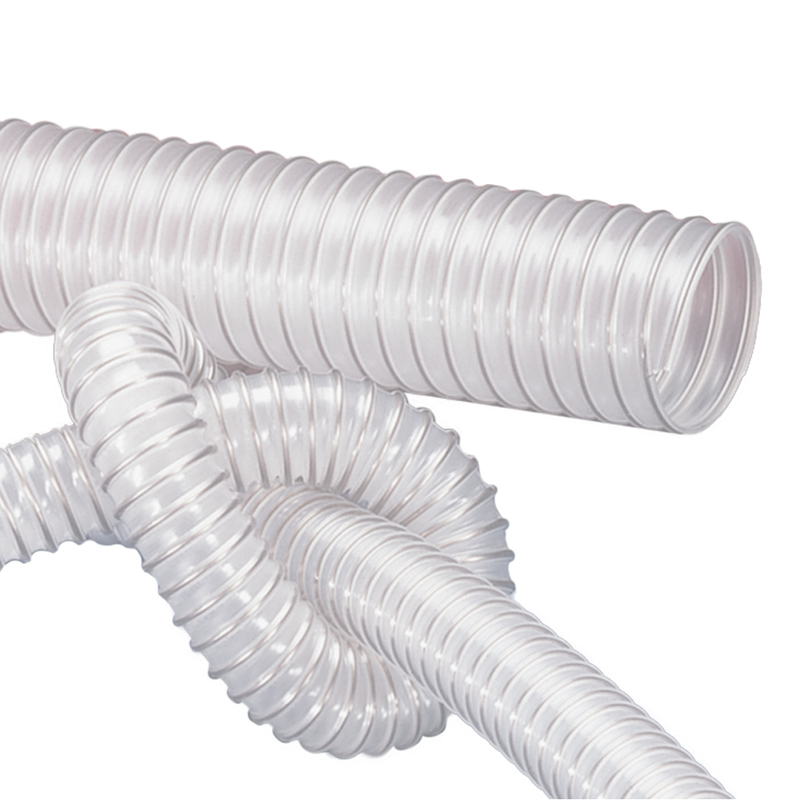 Plastic Corp.
AIRDUC® PUR 350 AS Hose is intended for medium to heavy-duty use, and is microbe-resistant and flame retardant. It has good resistance to oil, gasoline and chemicals. It can be used for abrasive powders, bulk materials, granulates and gases. It is also suitable for a wide variety of applications including printed circuit board drilling machines, offset printing machines, air supply for UV and IR dryers, extraction units, dust collection and filter systems, oil mist extraction, chemical vapors, vapor return hose at loading arms, paint steam, spray mist extraction, explosion hazard areas, textile industries and fiber extraction, barn ventilation, clean room ventilation, semiconductor production machines, compressors, side channel blowers, pumps, surface preparation like shot blasting, ship yards, stripping machines, floor preparation and grinding machines.